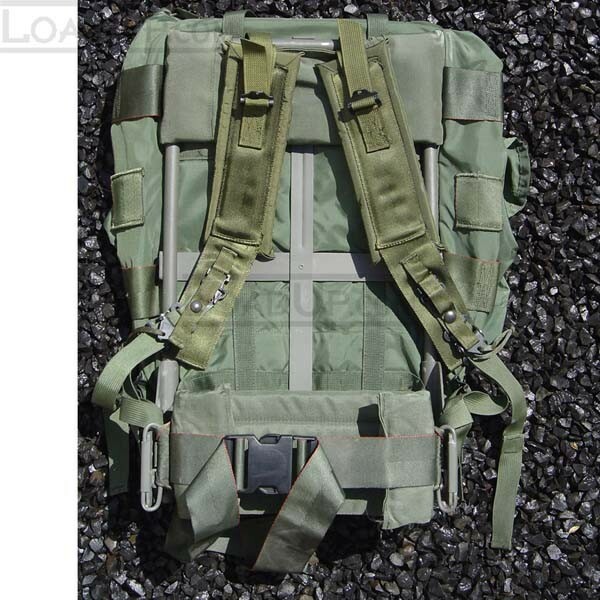 These are packs the military no longer wanted. 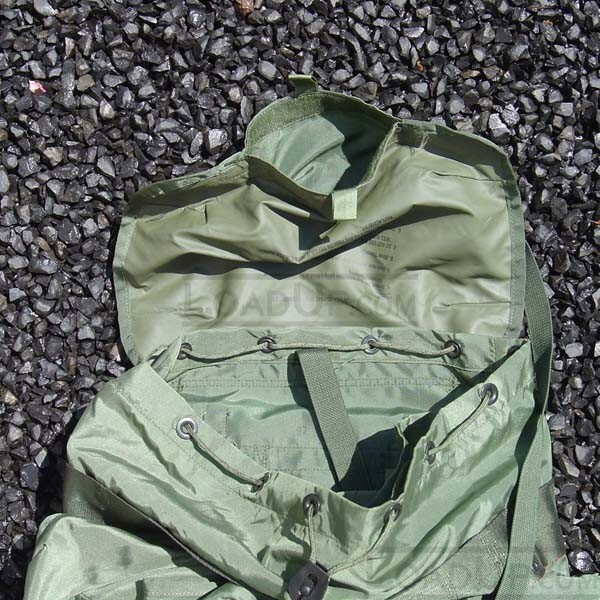 We have repaired them into usable condition again, they are by no means new though. 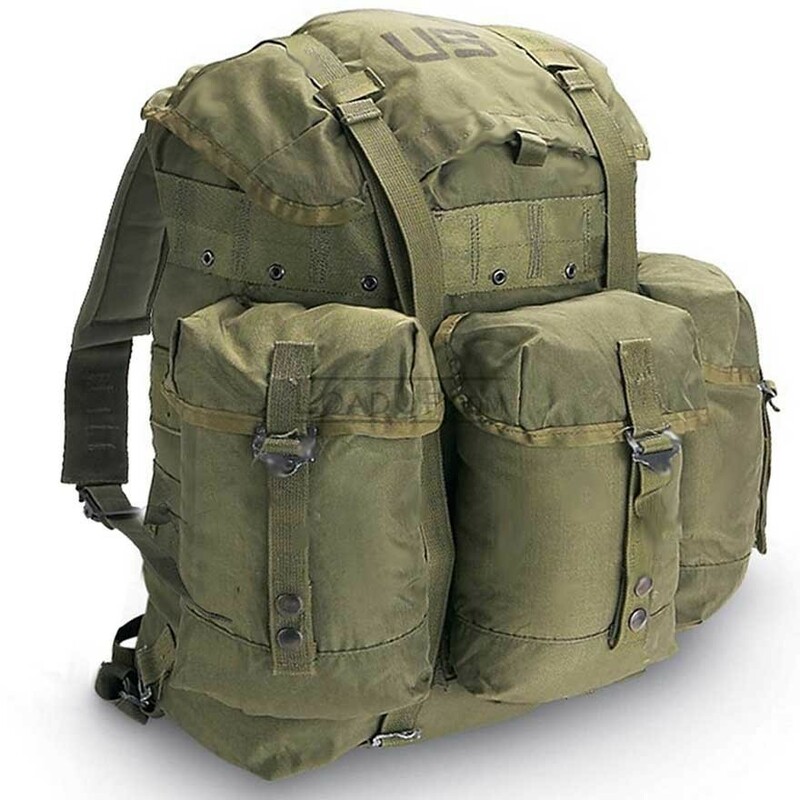 If you want a worn in tuff day pack this is it. Made of water resistant nylon and reinforced with nylon webbing, it's light and durable. 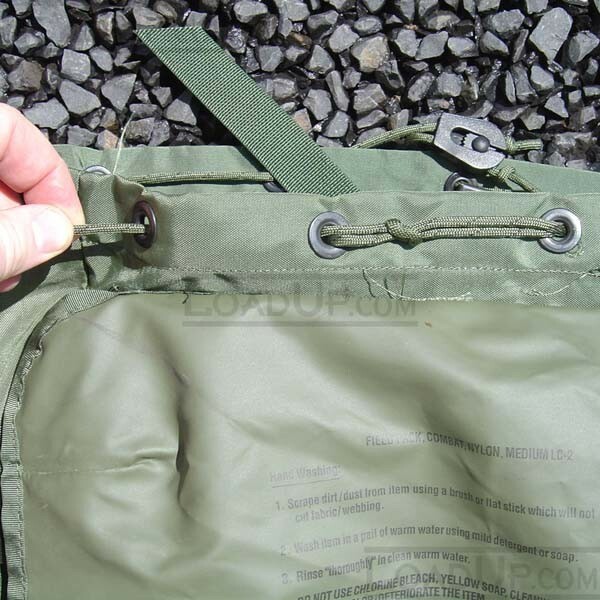 Top flap is easy access, Velcro compartment. Main compartment: 20 x 14 x 6.5 inches. Three front compartments: 10 x 5 x 3 inches. 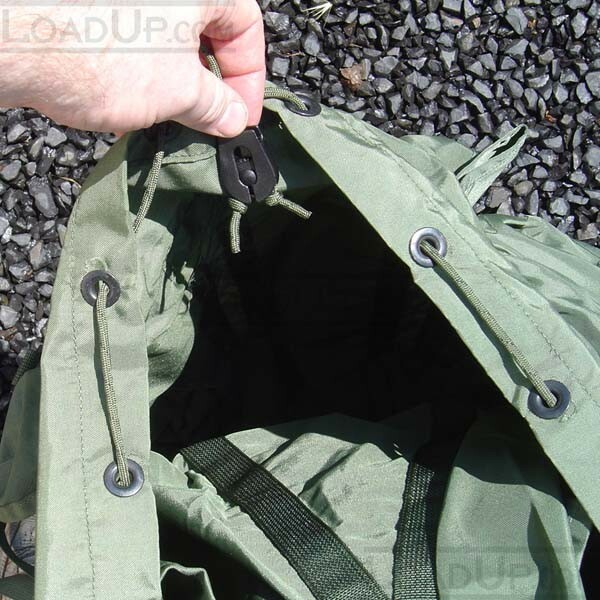 Padded shoulder straps with quick release system. Functions with or without frame. 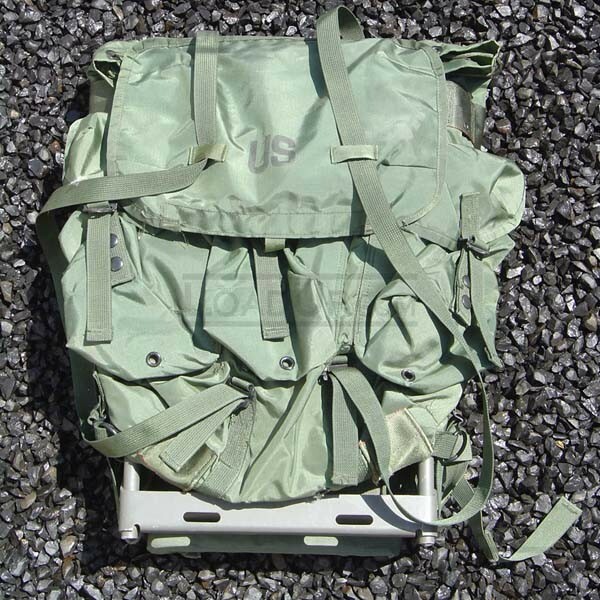 Frame avaiable for heavier loads.